After a lunch, Elaine and Warren cycled back to Delaware City, and I cycled to North East to getting back to the trail. The East Coast Greenway Trail makes a big detours there. First was Charlestown, absolutely charming simple tiny town. Next was Perryville. There was something strange there. Beautiful parks around the hospital, another beautiful park around another hospital, and another, and another… I didn’t understand, what for the trail brought me there. 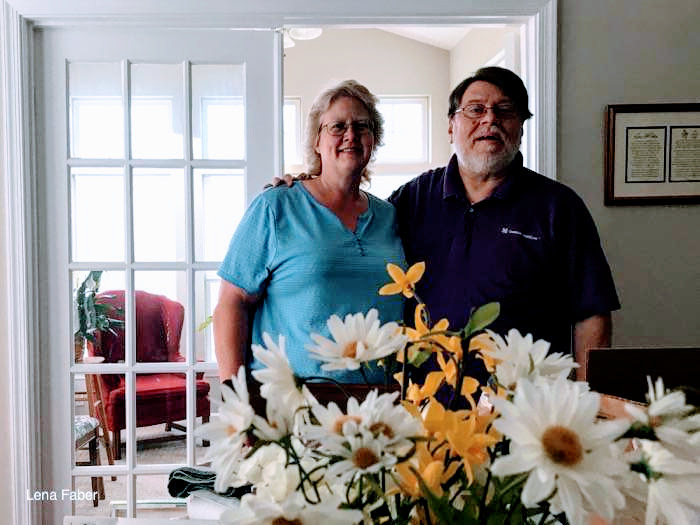 Until stopped at Dianne and Glenn house, in town out of the hospitals area, have breakfast next morning, and started asking questions, between nibbling big portions of fried chicken, left from the last night dinner in church, where Glenn was a pastor. The whole area with beautiful parks and hospitals was built for the veterans. Glenn is also veteran of Vietnam. His brother was forced to serve an order to bomb a village. 250 civilians were killed, brother’s brain was messed up, he stayed in Vietnam after the war, drug dealers were always around. Killed people visited him at his night dreams, calling him to follow them. A few years ago he did. Deer Hunters was a reality.